Who among you has tried creating a profile on Upwork? I guess many will surely raise their hands. I'll tell you, I have been in your shoes and it's really frustrating that after you've finished signing up, added your portfolio, took tests and now ready to start your online career, you could not land your first ever job. Unfortunately, most employers prefer those with more experience. Upwork freelancers' experience and performance are very visible on their profile and that includes the number of finished and ongoing contracts, the number of hours worked, ratings and feedback from previous employers, job success rate and the top rated freelancer badge for outstanding freelancers. Now, the question is "How do I get clients when I'm a newbie on Upwork?" Hi! My name is Rea, a mom of 3 and a certified Work At Home Mom. I signed-up on Upwork in 2011. I have landed my first job in 2014, and Yes! that was 3 years of trying. Currently I am doing a great job in Upwork, I have done 52 jobs, worked for 2,395 hours plus those fixed rate jobs, with 100% job success rate and a top rated freelancer badge on my profile. I have been through this situation so I enlisted here the most effective ways that worked best according to my experience. Build your profile - this is the most important thing to do. Build your Upwork profile and complete it with important information about yourself. Make a portfolio - if you're a newbie, it is understood that you have zero Upwork experience. Lack of experience and stars definitely will make it harder for you to get noticed. It would be very helpful to show your previous work even if it's outside upwork as long as the task is closely related to what you are applying for. Add your best picture - when adding a profile picture, it is important that your face is clearly recognizable, avoid selfie or filtered images. As much as possible, use a high end camera to take a profile photo and most of all, give your best smile. Take Upwork tests - Get good scores in the Upwork tests. Good test course can attract clients when you mention them in your proposals. I always do this for example when I'm applying for a task that requires English proficiency or MS Office skills, I would always mention that I have taken these tests and I got high scores in each test. This worked for me in getting new clients. Write personalized cover letters - this is very important! Clients hate templated and copy and pasted cover letters. The best thing to do is read the job description at least twice, make it as a guide and supply each and every question or requirement with your skills and experience. Avoid spelling or grammatical errors in your cover letter, It gives a really bad impression to clients as it shows negligence, poor performance and lack of focus. Take Risks - honestly speaking I did this when I was a newbie. There was one task that I think was easy but I've never done it before, so I included in my cover letter that, I really wanted to do the task but I was too honest to let the client know that I haven't done it before and I told him that he doesn't have to pay me unless he is 100% satisfied with my work. Surprisingly, the client accepted my proposal and luckily, I was able to complete the task and my client was satisfied with the outcome and that's how I got my first five star rating and everything started in there. I always use this strategy particularly for big projects. I would tell the client that I'm willing to do a trial task for free, this usually a small task to test if I'm fit for the project and it always ends up successful, not in a sense that I always win the job but yes, most of the time. It is also an advantage that I don't accept a contract that I am not good at, this way I was able to avoid, failed contracts, poor ratings and bad reviews. Once I learned that I am not capable of doing a certain task, I would give it up and let the client know that there are better contractors out there who can offer more than I can, and assure them that they don't owe me any amount for that trial task. Keep posted - Upwork has millions of contractors and they all monitor the job feed so I would suggest you to monitor the flow every 10-30 minutes. 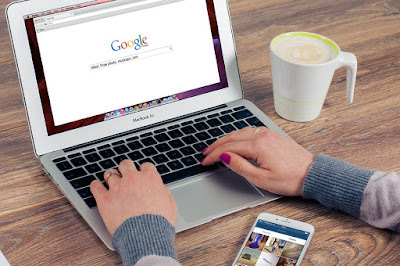 Downloading the Upwork application on your mobile and turning on your email notification for Upwork messages would be a great help for you to monitor the new posted jobs anytime and anywhere you are. 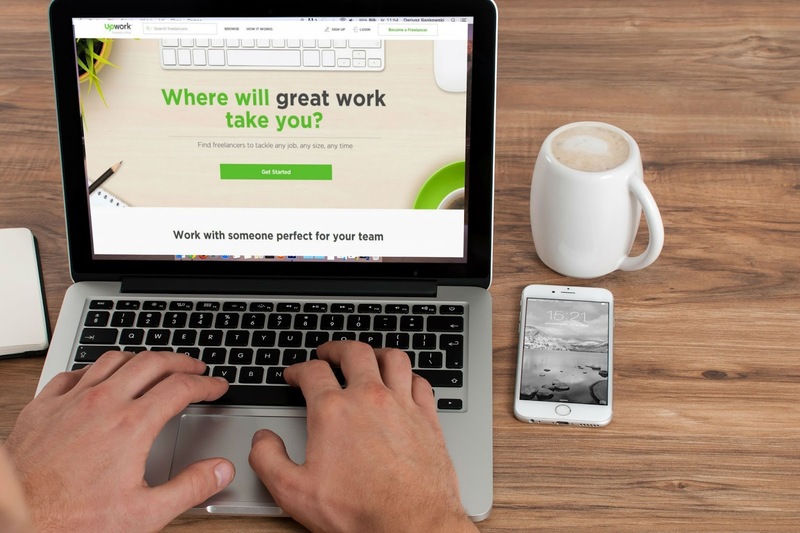 Aim for a good rating and feedback - earning is the very first reason why we take chance in Upwork, but when you're a newbie, set this aside and aim for the good review and perfect rating first. Good feedback and ratings in the beginning, can lead to better career ahead. Be Patient - Don't get disappointed, if you don't see any response. Keep on sending proposals, a basic user has 60 connects per month that can be applied for 30 jobs, (2 connects/job), consume it all. wait patiently and it will come at the perfect time. Getting your first job is a very frustrating process, but sometimes you'll find clients with limited budget who will post jobs that only allows newbie applicants. Do not transact outside Upwork - this is the most common mistake that new contractors usually commit. If you do this, you'll miss a lot of opportunities like making your very first "five star" rating, getting great feedback from the client, building you work history and the worst thing of all, you'll get banned from Upwork. I hope that this guide can help you guys to land your first job on Upwork, that's all and Good luck! If you like this post, don't forget to like our page and share it to your friends on Facebook. Thank You! Rea is a wife, a Blogger and a certified WAHM. She shares inspirational stories, earning tips and real life experiences of being a Work at Home Mom. All information on this website is published in good faith and for general information purpose only. Mommy Yah does not make any warranties about the completeness, reliability and accuracy of this information. Any action you take upon the information you find on this website is strictly at your own risk.